Here comes the NEW E-Drive from Works-Engineering! 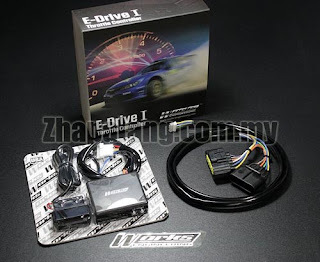 This e-throttle controller is designed to give you the selection between 3 different modes. Simota E-Drive electronic throttle accelerator has Normal mode, seven segment Sport modes, five sections of fuel-efficient modes, in addition also has the power and memory. -To improve performances and response. -12 steps for best fine tune.